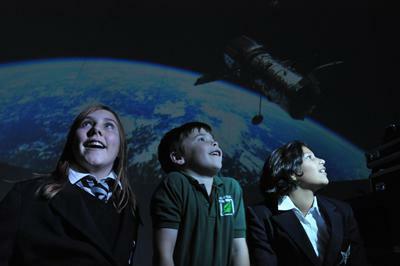 Our pupils go to space! 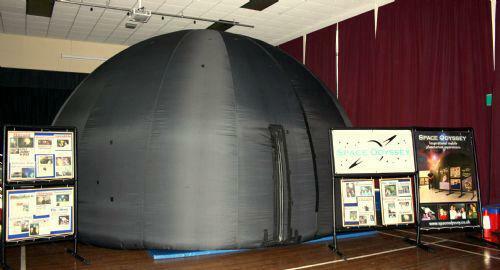 All the pupils had a real treat this week with a planetarium show as part of the many activities from Dulverton's involvement with BBC2's Stargazing programme that filmed live from Dulverton on Wednesday 18th Januaury. They visited the mobile planetarium 'Space Odyssey' set up at the Middle School and had a real out-of-this-world experience! The dome uses a 3D digital projection system that is able to project computer simulations and images right around the audience. the children were taken on a voyage through the planets, went to the moon, and went to space in a rocket!